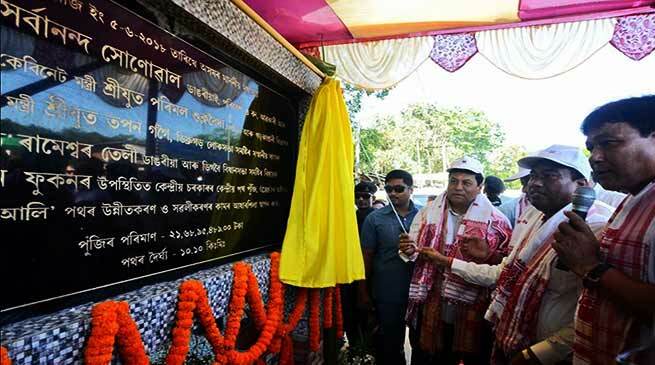 Assam chief minister Sarbananda Sonowal laid the foundation stone of 10.10 km Tingrai-Doomdooma road which will be built at a cost of Rs 21.68 crore under Central Road Fund at Tingrai on Tuesday. Speaking at the function, chief minister Sonowal said that the Assam government is committed to develop a well concerted network of roads to facilitate connectivity especially in the interior places of the state. He also said that the present state government for the welfare of all sections of the society has adopted schemes in the areas of health, education, connectivity, women and youth empowerment, skill development to improve the lot of even the poorest of the poor in the society. 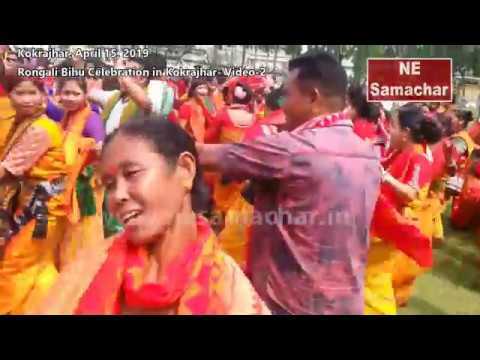 Sonowal reiterated that under the present dispensation all sections of the people of the society are given equal right, equal dignity and equal status. He, therefore, urged upon the people of all sections to lend their hands for the development of the state. He also advocated for constant interactions among all sections of the people to allay all misunderstandings and strengthen the feeling of universal brotherhood in the state. 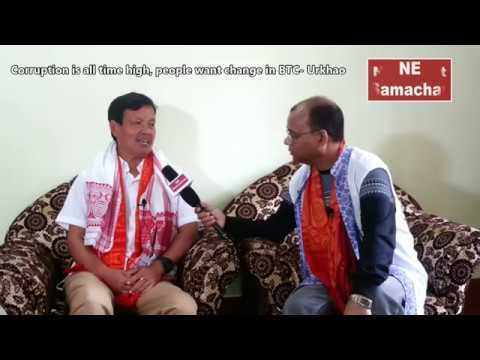 Sonowal also said that the government is committed to the welfare of all sections of the people and they should not have any misgivings regarding government’s intention and sincerity. The chief minister said that considering the potential of the state and its strategic location, Assam can become the heart of Centre’s Act East Policy and the gateway to South East Asian nations. 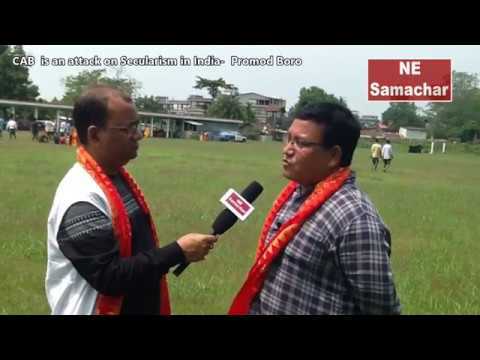 Environment and forest minister Parimal Suklabaidya, MP Rameswar Teli, MLAs Suren Phukan, Bhaskar Sarma, Bolin Chetia, Member Secretary State Level Advisory Committee for Student and Youth Welfare Lakhya Konwar and a host of dignitaries were present on the occasion.